Concealing my large pores is a mandatory step in my daily makeup routine. 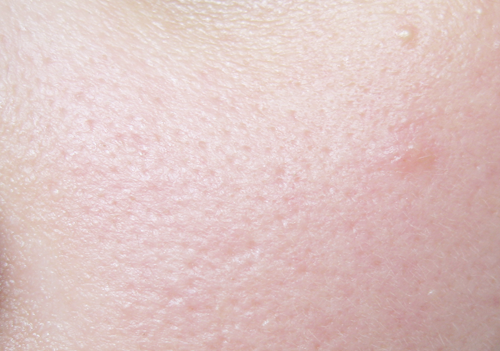 Though they're not as ghastly as say, a brand new zit, I still consider them unsightly (on me at least) and always try to minimize their appearance with both a great primer and BB cream or foundation. Thankfully, Maybelline has recently released the Baby Skin Pore Eraser. Though the product's name is already self-explanatory, what does Maybelline say it does? On contact, translucent gelt melts on skin and instantly erases pores, imperfections, lines and creases. Skin looks instantly transformed into a perfect smooth canvas. As someone who wasn't too impressed with Benefit's The POREfessional and didn't understand why everyone raved about it so much, I was more than keen to try this out. It seemed like the perfect dupe and I was right! Baby Skin Pore Eraser comes in a 22ml squeeze type tube with a twist cap. It's small enough to easily slip into your bag or makeup kit. The nozzle hole is tiny, which allows you to accurately control how much product is dispensed. As something you'll most likely end up using daily, this is definitely a plus aspect! The product itself is like a semi-thick gel. I find it a bit difficult to spread and blend out completely though, perhaps because of its consistency. It just doesn't glide with my fingers as well as I thought it would. With primers I usually put one medium or big blob on my forehead, nose, cheeks, and chin then spread and blend it out from there. But with this, I have to place pea-sized amounts all over my face and then proceed to spread it out for blending. Apply all over the face or on concerned areas. Suitable for all skin tones and types. Mistake proof. No mirror needed. Does not clog pores. So light you forget it's on. The secret? Cherry extracts known for their antioxidant properties. Though my pores weren't erased completely, since I have the face the fact that they're just too big for that to happen, they've definitely been minimized or 'blurred out', as I like to put it. As you can see, it also did the same for both the new zit I have and the acne mark (right side). Additionally, my skin became super soft and smooth - making it a perfect canvas for my BB cream or foundation. Some people have been substituting this as their overall primer, but I'm using it as an additional step to my face priming instead, particularly since this product hasn't helped my makeup to last longer in any way and has zero oil control. The product isn't described by Maybelline as a primer anyway. In the end, I'm really pleased with this product and it's safe to say I'll be repurchasing this as soon as I start running out! 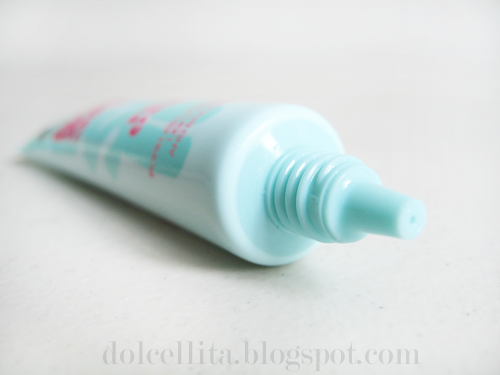 Affordable, especially as a dupe for Benefit's The POREfessional. Slightly difficult to spread and blend out. Does not improve staying power of makeup. Contains silica, a common ingredient in many primers and foundation that a number of people are allergic to. Benefit's actually dried out my skin a little sometimes and it only became worse once I applied my foundation or BB cream on top. I don't know if they tweaked the formula along with the packaging now, but I'm still hesitant to try it again! Oh, I've been considering getting the ELF primer too! I might just do that soon. I'll admit I wasn't expecting too much since I've been disappointed by a lot of products that claimed to hide pores, but this one delivered for me! Wow, this product is exactly what I've been looking for. o.o Really wish it had some sort of oil or shine control factor to it, but you're right, the packaging is really cute and it seems to have really good on you.Thank you for this review! I had no idea this product even existed. I have this too, and I have to agree. It doesn't help much in controlling oil. But I loooove how it effectively blurs out my pores. The first time I applied this on the back of my hand at the mall, I thought the finish was the same as Porefessional's. But now that I've tried it on my face, I realized that they actually differ in finish. Oh, definitely! I needed to moisturize really well prior to using the POREfessional because it dried out my skin a lot, but with this one, I sometimes don't even need to. great review Dolcellita!! ^.^ i have never tried this product, but am thnking about it now! i found you on the GIG tag and am also here to support you by following you! hope you can support me aswell and follow via GFC or email. Thanking you for posting this. Hahaha. Might get one later but I haven't seen this in stores in yet, where can I get one? Great product, Will be eagerly waiting for more. hope the same from you. Now i'm going to have to try this! I didn't even know they had this! awesome review love! popping by here at your blog! ahhhh this product looks amazing! would definitely give it a try when it's available in my country! You should! Hope you like it too. It was good enough to impress me! Thanks for this review. I was thinking of buying it, but now I'm thinking of buying something else. I have oily skin, so I'm trying to find something that would control that. Sounds like it is a miss for you, I do not have a problem with pores. You did a great review. Thanks for sharing. Thanks for the review. been wanting to try this. but your review made me think twice. wow looks like a great product, will look for it and try too! new product from maybelline! i want to try to have a poreless face.. hehe thanks for sharing! Very interesting product. I have not seen or heard of this yet. I will defiantly have to try it out!! It's crazy the effect a pore minimizer has. I remember the first time I tried one on a whim and I had to do a double take at my skin! This one doesn't look bad. I really wanna try this out for myself BUT it isn't locally available where I live. :( Grrrr!